We were delighted to catch up with Peter A Adamson, Professor of the Division of Facial Plastic and Reconstructive Surgery, Department of Otolaryngology – Head and Neck Surgery, University of Toronto. My initial training was in otolaryngology-head and neck surgery (OHNS) at the University of Toronto, followed by a fellowship in facial plastic and reconstructive surgery with Dr Jack Anderson and Dr Calvin Johnson, Jr. at Tulane University in New Orleans. Following that I returned to our Department of OHNS at the University of Toronto and have since focused my practice on rhinoplasty, both cosmetic and reconstructive, and facial rejuvenation surgery. My academic career advanced to becoming a Full Professor and first Head of our Division of Facial Plastic and Reconstructive Surgery (FPRS). Throughout my career I have been very active in publishing and teaching, having written over 240 papers, chapters and books and having taught in more than 40 countries. 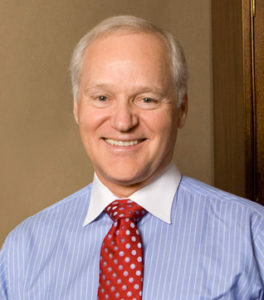 Other activities have included being President of both the American Academy and American Board of Facial Plastic and Reconstructive Surgery and the Canadian Academy of Facial Plastic and Reconstructive Surgery. Currently I am President of the International Board for Certification in FPRS. In 1996 I became President and Founder of Face the Future Foundation, a humanitarian foundation for surgical missions, and have lead and supported 34 overseas missions. In the past I have been honoured with the Joseph Lecture in Europe, the Tardy Lecture in the United States and the Order of Ontario. What has been the best piece of advice that you have received in your career and what advice would you offer those following in your footsteps? Dr Calvin Johnson, Jr., during my fellowship year, stated that to be successful in life you should have the right attitude. To me, the most important aspect of this good advice is to develop and value relationships. In this regard, it’s all about what you can do for others, both professionally and personally, as the strengthening of relationships always enriches one’s life. A second component of attitude is making the most of every day, always trying to look at the positive and the progress being made, rather than living in the negative zone, or the ‘gap’ of goals not yet realised. Life is a journey towards the horizon, which is always receding as we progress and set new goals. Finally, I believe it is most important to have gratitude for all of the good things in one’s life. In our profession, all of us have been blessed with the best that life has to offer. However, happiness and contentment can never be realised without having a positive focus on the positive aspects of one’s life. This also generates the foundation and enthusiasm for future growth and success. Plastic surgery is evolving all the time. What do you think have been the most exciting developments in recent years? There have been so many exciting developments. After I began practice, we saw the introduction of liposuction, lasers, and numerous other surgical and non-surgical modalities. Our understanding of facial anatomy and resultant ability to innovate and refine surgical techniques has allowed us to achieve safer and more natural results with quicker recovery. There have also been important studies into the evolution of beauty and how it impacts our surgical goals. In more recent years, the most significant changes have been brought about by the myomodulators and facial fillers, especially hyaluronic acid. Although not surgical, these techniques have become an essential adjunct for facial plastic surgeons to provide holistic care for their patients. Laser therapies, not to mention the numerous other non-laser technologies, have evolved from simply treating the skin’s surface to reversing signs of ageing in the deeper tissues. In addition, fat grafting techniques have improved and there is great enthusiasm for the potential of plasma rich protein to enhance wound healing and hair loss. Continuing advances in radiologic imaging combined with the nascent fields of three dimensional modelling and selective laser sintering hold a plethora of potential breakthroughs for the future of facial reconstruction. Potential robotic interventions will also contribute to the unfolding of an exciting future. As a clinician well known for presenting at international meetings, do you see this as a vital part of your work? Yes, the gathering of surgeons for face-to-face presentations and personal communication is essential to advancing our field. Notwithstanding the exceptionally positive impact of the information technology revolution on our ability to enhance our knowledge from afar, there is something very necessary and special about meeting with colleagues to pursue the goals of knowledge sharing and advancement of our skills. Meeting with each other stimulates our thinking and creates enthusiasm. Collegiality and friendships are nurtured. Our meetings allow us to experience and discuss issues of professionalism, ethics and abstract ideas. There is a synergy that cannot be realised through individual learning alone. 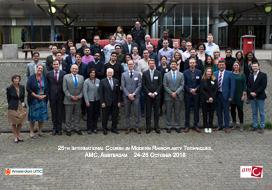 There is no doubt that the information technology revolution has allowed many surgeons in all parts of the world to increase their knowledge and enhance their skills much more rapidly than would otherwise have been possible. This is especially true because of the exponential increase in the number of teaching videos, both formal and informal on social media platforms. One of the daunting challenges is determining the integrity of online information and what will provide most value to a given practitioner. 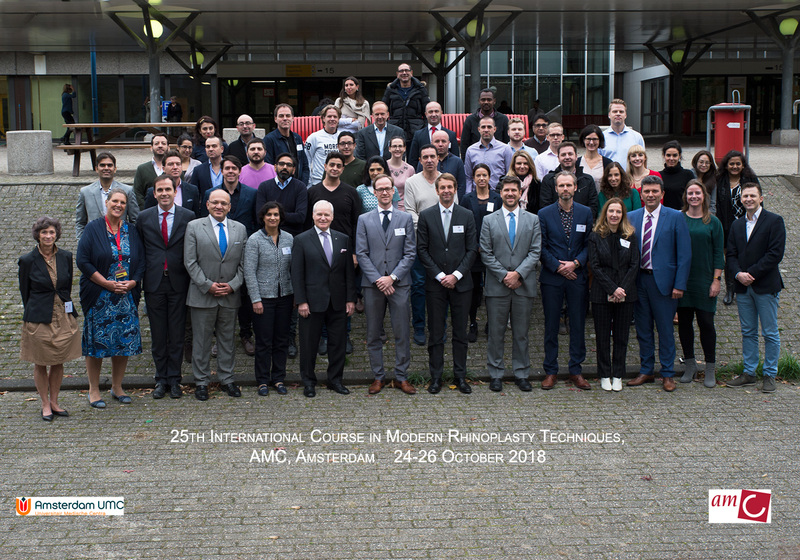 What will you be focusing on at the 25th International Course in Modern Rhinoplasty Techniques? My first presentation will be on ‘The Science of Beauty’. This reviews the mathematical and biological basis of beauty and reasons for its evolution. The importance of understanding beauty and applying this knowledge to improve patient outcomes is revealed. ‘Nasal Tip Suturing Techniques’ includes some of the most important surgical skills to have in rhinoplasty. It is appreciated that preserving and conserving the cartilage structure of the nose for both aesthetic and functional reasons is paramount. Advanced suturing techniques allow these mutual goals to be better achieved. ‘Strategies for Professional and Personal Success’ is a motivational presentation which shares some attitudinal and functional tools, learned through my own career, which will hopefully help others achieve their goals and the satisfaction they seek in their lives. It is recognised that rhinoplasty is the ‘queen of facial plastic surgery operations’, and the most challenging of all procedures. By sharing ‘Lessons Learned from Revision Rhinoplasty’, it is hoped that surgeons can be aware of techniques that can help assure good primary results and minimise the need for revision surgery.